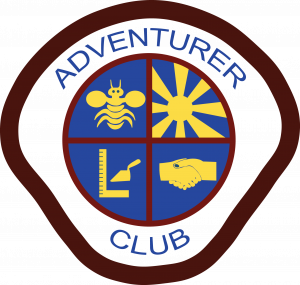 The Adventurer Club is a Seventh-day Adventist Church sponsored ministry for children ages 6 to 9. The Adventurer program is designed to support parents in assisting children with the challenging task of developing fully as followers of Christ in today’s world. The program aims to strengthen the parent/child relationship and to further the child’s development in spiritual, physical, mental, and social areas. Through the Adventurer Program, the church, home, and school can work together with the parent to develop a mature, happy child. The Little Lamb program is treated as a parent/child partnership, and the child will gain much in the interaction with other children. The Little Lamb will be recognized for his/her work and will be invested along with the other classes of the Adventurer Club. The child must be 4 years old by December 31st of the year they are enrolled in the Little Lamb program. The Little Lamb curriculum is organized around the four basic relationships in a child’s life: my God, myself, my family and my world. This program is designed for kindergarten-age boys and girls. The Eager Beaver program involves a parent-child partnership.. Ideally, parents and their children will do the Eager Beaver activities together. The Eager Beaver Club utilizes hands-on activities, geared specifically for this age group, to provide experiences and develop skills that will be beneficial throughout life. The Adventurer curriculum is organized around the four basic relationships in a child’s life: my God, myself, my family and my world. The Busy Bee level is designed for first-graders. They must be able to recite and accept the Adventurer Pledge. Awards to be earned: Busy Bee Reading Certificate, Bible 1, Health Specialist, Safety Specialist, Friend of Animals. The Sunbeam level is for second-graders. They must be able to recite and accept the Adventurer Law. Awards to be earned: Sunbeam Reading Certificate, Fitness Fun, Road Safety, Courtesy, Friend of Nature. The Builder level is for third-graders. They must be able to recite the Adventurer Pledge and Law. Awards to be earned: Builder Reading Certificate, Media Critic, Temperance, Wise Steward. The Helping Hand level is for fourth-graders. They must be able to recite the Adventurer Pledge and Law. Awards to be earned: Helping Hand Reading Certificate, Bible 11, Hygiene, Caring Friend and Environmentalist. Each level builds on the previous level and is especially designed to interest, challenge, and provide successful experiences for children of that grade level.